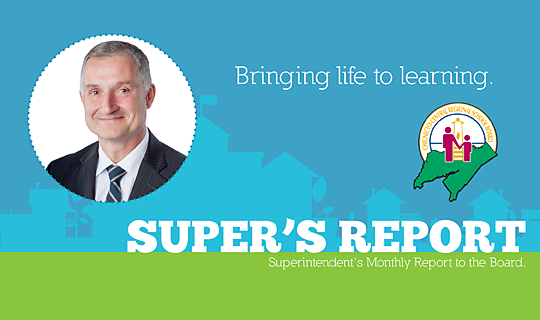 In the November Super’s Report, Superintendent Gary Adams touches on the importance of reflecting on the past, connecting to the future and building on what we have learned. This report also highlights the Priority Schools Initiative, Connecting Colleagues with Melody Martin-Googoo, and features the Nourish Your Roots program along with the release of the Superintendent's Annual Report. Click here to read, and watch, the Super's Report online!